Lillium Magestica, 2012 Paper 40"X60"
Tulipa Orangealis, 2012 Colored Pencil On Paper 30"X40"
Hortus Verustas, 2012 Paper Sculpture 30"X40"
Dahlia, 2012 Paper Sculpture 8"X10"
Ireneses Conchylium, 2012 Colored Pencil On Paper 30"X40"
This work is about the context of imagination for creating a fantasy world. The flowers are interpreted from memory, not actual depictions of existing species. They reflect the historical influence of the portraiture like studies made by the European Botanical Artists of the turn of the century. 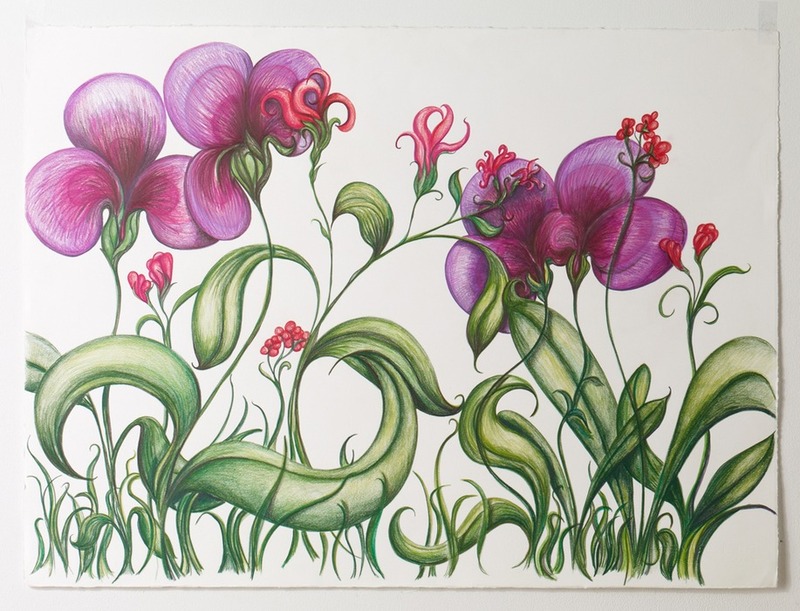 The Colored Pencil drawings are spontaneous and direct, and focus on the fantastical fluidity of line. The waxy medium of the pencil gives a sheen and vibrancy to the color. 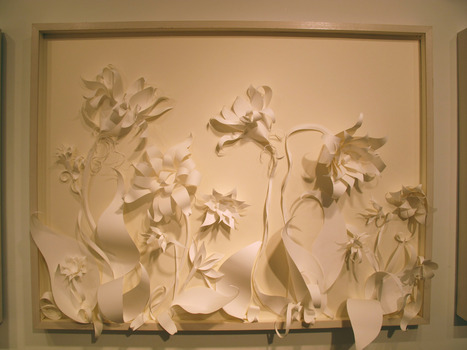 Both the line and gesture of the drawings inform the paper sculpture. 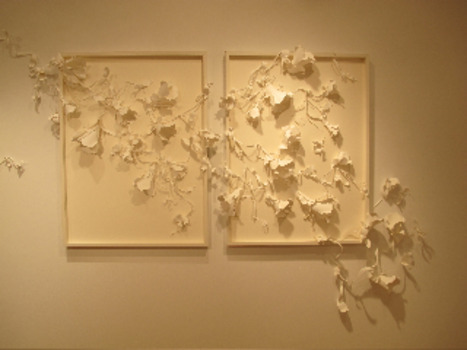 In these reliefs the flowers grow without restraint, beyond the boundaries of the frames. The paper sculptures and drawings are made from the same French rag paper. 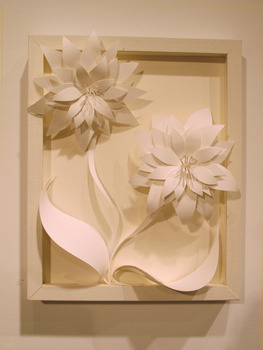 The flowers are hand formed, each petal, hand cut, shaped and adhered with an archival glue. 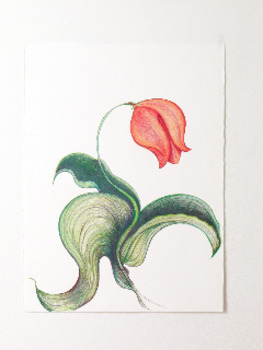 I started the series of drawings in February 2011. In the harsh North East winter, drawing flowers from my imagination was a gorgeous escape, and making the paper flowers became little worlds of their own. As in all of my work, the concept for this exhibition emerged from the materiality of the process, where my imagination and sub conscious lead the way.